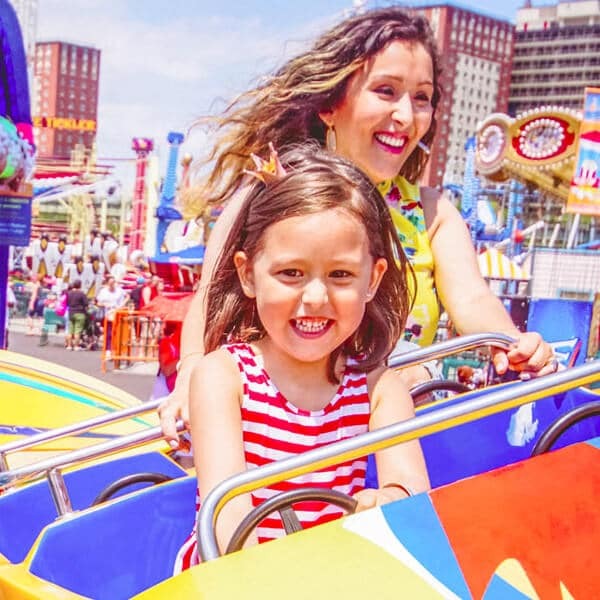 Get a feel for the sunny side of Coney Island on this boat-theme family-friendly attraction. Choose your favorite of our six uniquely designed miniature speedboats and charge the rough waves head on. Make it around the buoy and bounce all you like using the in-boat controls that make this a favorite interactive ride for kids big and small. Wondering where to find a theme park in New York City with rides for kids? Come out to Brooklyn and spend the day at Luna Park!